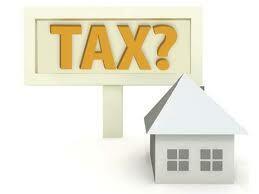 Will EU Member States shift taxation towards property in 2013? On 28 November the European Commission published the Annual Growth Survey 2013 together with several related documents. This is the beginning of the process known as the European Semester 2013 for economic policy coordination which ensures that Member States align their budgetary and economic policies with the Stability and Growth Pact and the Europe 2020 Strategy. It should feed into national economic and budgetary decisions. Will this shift the burden of taxation from labour towards property with the aim to strengthen purchasing power and discourage the accumulation of debt? The European Semester starts when the Commission adopts its Annual Growth Survey which sets out EU priorities for the coming year to boost growth and job creation. This is followed by a period of consultation in cooperation with the European Parliament and other EU advisory bodies (Committee of Regions and European Economic and Social Committee) with the involvement of national parliaments, social partners, regions and other stakeholders. The aim of the exercise is to help EU countries to implement economic policies in sync, as a prerequisite for any effective economic governance. It should feed into national economic and budgetary decisions which Member States will set out in Stability and Convergence Programmes in April. These programmes will form the basis for the European Commission’s proposals for country-specific recommendations in May which will then feed into national economic policy. The Annual Growth Survey addresses issues of importance to the European economy including housing. The Macroeconomic Imbalances Procedure Scoreboard published by Eurostat (the statistical office of the EU) is based on 11 indicators which provide the statistical support to the Commission’s Alert Mechanism Report which is published together with the Annual Growth Survey. One of the 11 indicators is house price developments, the evolution of house prices being measured relative to the evolution of consumption. As such housing and particularly the movement of house prices is an important contributor to economic planning at EU level. part of this process remaining professional restrictions will be reviewed. A detailed report was sent to the CEPI Member organizations. For any information, professionals should contact their national association.